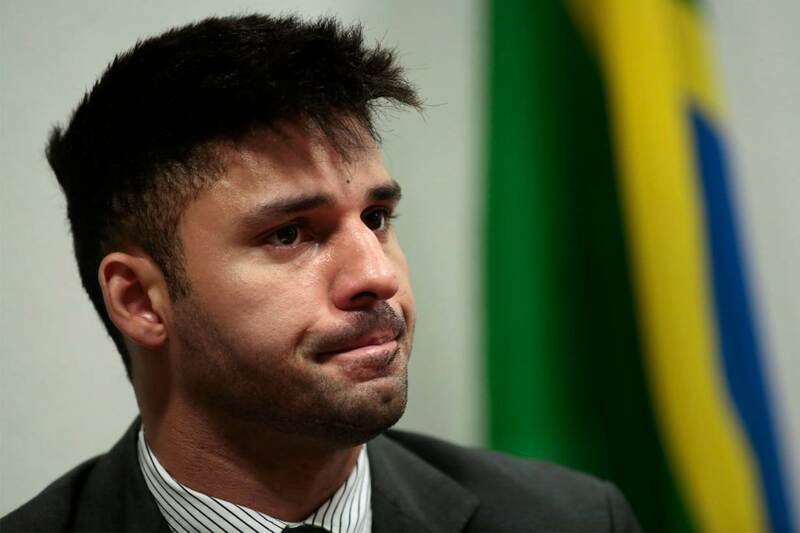 When he realised Jair Bolsonaro was likely to be elected president of Brazil last year, politician, David Miranda’s first concern was for his family, rather than his career. As an openly gay man adopting two children, Miranda worried that Bolsonaro could revoke many of Brazil’s LGBT+ rights, including gay adoption. Just three months later, the 33-year-old was propelled into the public spotlight, when Jean Wyllys – one of Brazil’s only openly-gay congressmen – fled the country saying violence had increased in the wake of Bolsonaro’s win. Miranda took Wyllys’s seat, joining a small but increasingly determined group of LGBT+ politicians prepared to take on the right-wing president, a former army captain, who has described himself as a “proud” homophobe. “I felt like this was a big blow for democracy”, Miranda told the Thomson Reuters Foundation of Wyllys’s exile. “But at the same time, I know the work that I’m going to do, and how I’m going to be a strong voice for the LGBT community, for the black community, and for democracy in general in Brazil. “And that makes me eager to fight for my country in this moment of need”. Homophobia is common in Brazil, a deeply religious country, where both the Catholic Church, and the increasingly popular evangelical Christian movement, are frequently critical of gay rights. But like many Latin American countries, Brazil is also home to a growing population of young, educated, urban, liberals eager to stand up for gay and transgender rights. The October general election saw several seats go to LGBT+ candidates, including Marcelo Calero, only the third openly gay man ever elected to Brazil’s lower house of parliament. Voters in the state of Espirito Santo elected Fabiano Contarato to the national assembly, making him the country’s first ever openly-gay senator, and several LGBT+ candidates won office at state level. “The number of tolerant, open-minded people [is] growing”, said Javier Corrales, professor of political science at Amherst College in the United States, in an email. LGBT+ politicians say they are more willing than ever to lead the resistance against Bolsonaro, who removed gay and transgender concerns from consideration by the new human rights ministry on his first day in office. “We have a president who makes very violent statements about LGBT people, about black people, about women”, said Erica Malunguinho, one of two transgender deputies elected in the country’s most populous state, Sao Paulo. “It’s become even more important, even more necessary … to be a guiding force in guaranteeing our rights”. Erika Hilton, the other transgender deputy, said she felt “a sense of euphoria and inner joy” that the voices of minorities were breaking through, but also “profound sadness that for so long, our voices have been silenced”. Wyllys’s exile was a reminder of the perils of being an outspoken LGBT+ politician. It followed the murder in March of Marielle Franco, an openly bisexual Rio city councilwoman, and human rights activist. She was one of at least 320 LGBT+ people killed in Brazil last year, according to watchdog group, Grupo Gay da Bahia. Miranda, who is married to the Pulitzer Prize-winning journalist, Glenn Greenwald, said his newfound prominence had put him and his family in a “really difficult position”. As the candidate from the Socialism and Liberty Party (PSOL) with the most number of votes in Rio de Janeiro state after Wyllys, Miranda was his automatic successor. “I’m going to be afraid, but I’m going with a lot of courage too”, he said. “No steps back, only going forward. That’s the only thing we know”. For LGBT+ activists, leaders like Miranda, Malunguinho, and Hilton have become important guiding lights in dark times. “It gives us courage”, said Luis Arruda, a lawyer and gay rights campaigner in Sao Paulo. “They are the people who are going to be on the front lines. They are going to be our defenders in those places, the ones who make sure our rights don’t slide backward”. And while Miranda and other federal politicians are likely to be the loudest voices standing up to the president, Corrales said the impact of local leaders should not be underestimated. “Brazil is a federal republic, and oftentimes progress has come at the municipal level or subnational level”, he said. “These levels could become pockets of resistance and even innovation on LGBT rights”. Back in Rio de Janeiro, Miranda said he wanted to open a new shelter for LGBT+ people – a project he hoped would get greater support given his new national profile. “We have many leaders in our community who are going to step up and start making changes”, Miranda said.